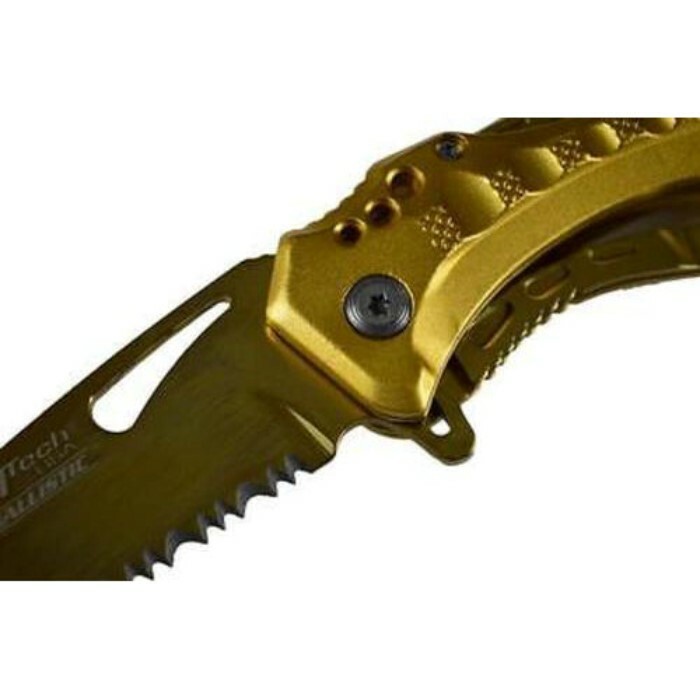 MTech Ballistic Assisted Opening Gold Tactical Folding Knife | BUDK.com - Knives & Swords At The Lowest Prices! 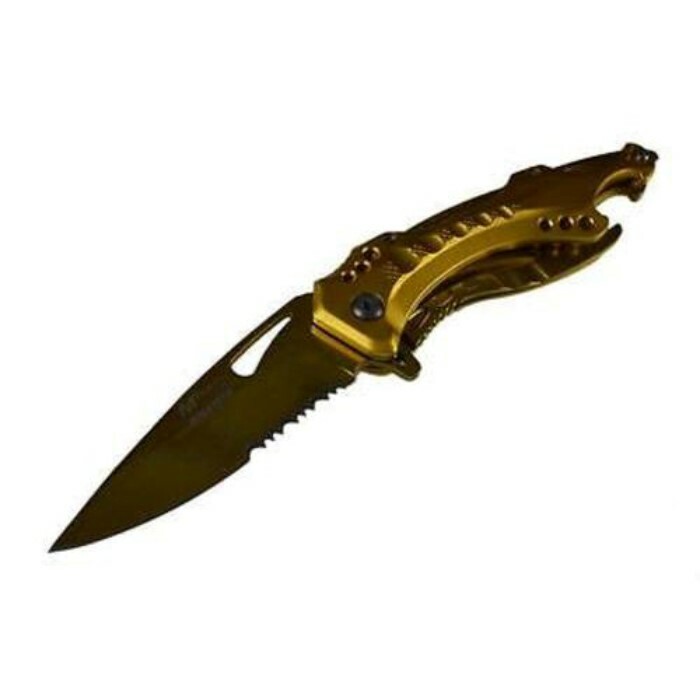 This shiny gold tactical folding knife needs a new home in your folding pocket knife collection! 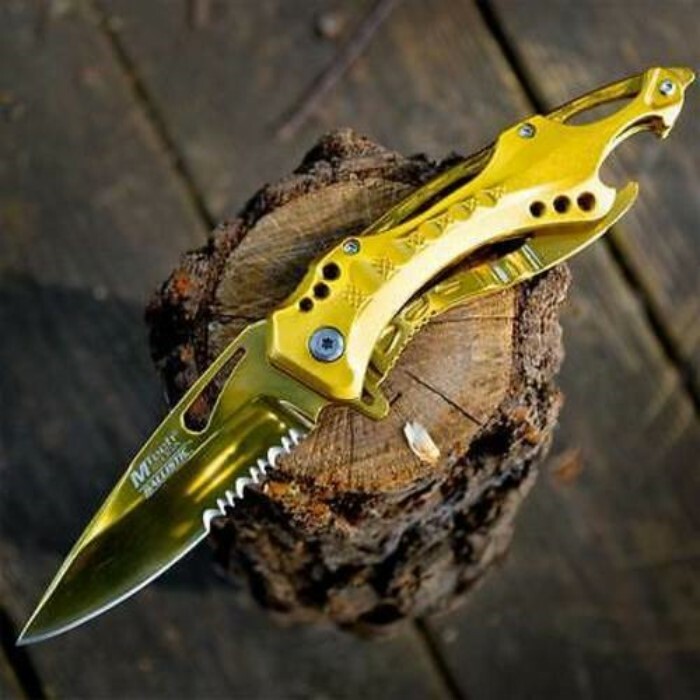 The all gold titanium anodized finish gives this tactical folding knife a designer look and feel at a price that is actually affordable. The partially serrated stainless steel clip point blade has a built-in thumb hole and blade spur to activate the assisted-opening mechanism and deploy the blade. This combination of features provides you with fast, one-hand access to the sharp blade. 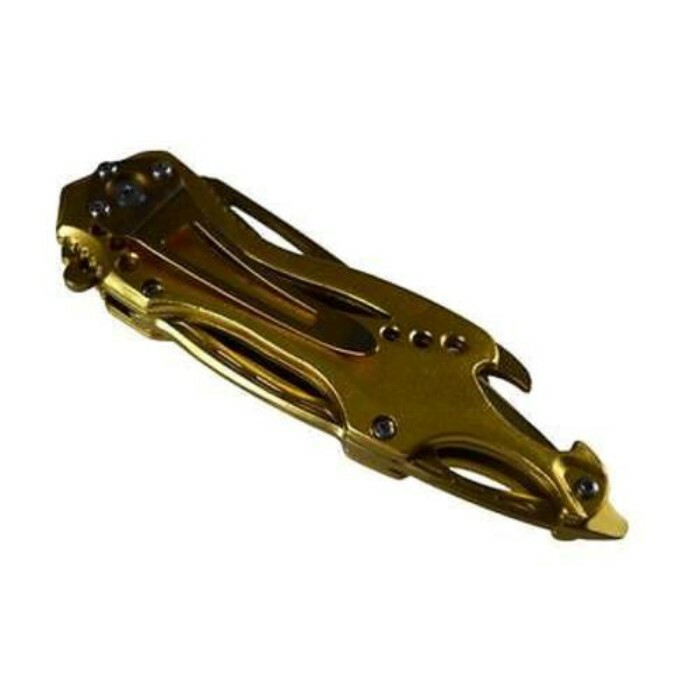 You can clip it to your pocket, belt or pack with pocket clip. 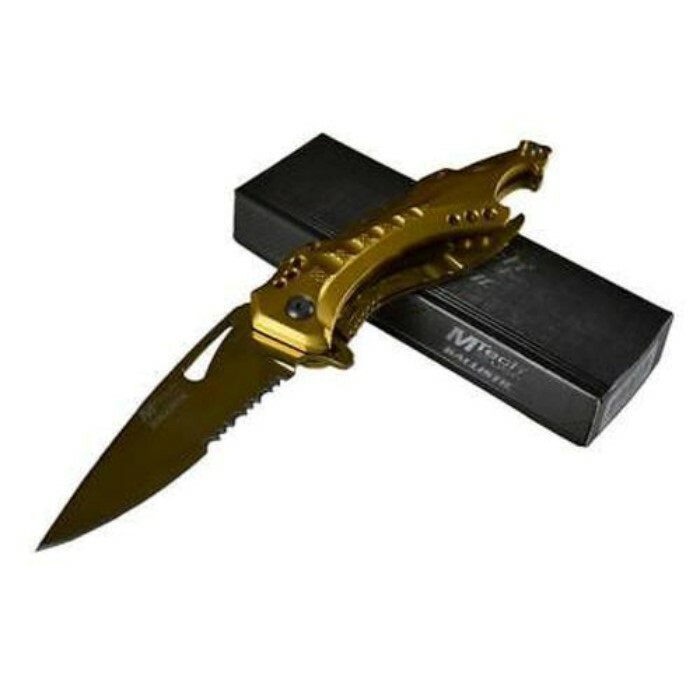 I bought both the all gold one and the black one, they are sweet. Going to buy another set soon.Make a nice gift.